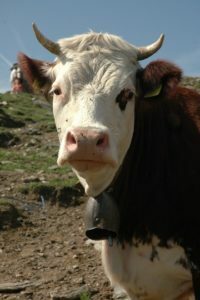 Another Piedmontese cheese this week. 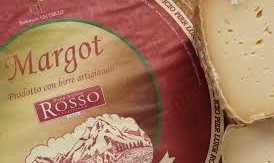 Margot Beer Cheese is made with the milk of rare breed Pezzata Rossa d’Oropa cattle, adding Margot craft blonde ale to the curds. The result is a mild, semi-soft cheese with a patchwork of fine holes and a subtle beer flavour. The rind (not edible) takes on a yellow hue as it matures. We have 350g rounds (ours look oddly like pork pies, such is the toughness of the rind), available whole or in smaller portions as required.